Peninsula Urban Forestry LLC Certified Arborists provide expert science and experience-based investigations and evaluations of tree condition and tree risk. Trees are complex, constantly growing, living organisms. Their health is important to evaluate and monitor for signs of deterioration. Our consulting Arborists begin by interviewing tree owners and property managers to identify trends and establish a history of the tree. This narrative of tree history helps us evaluate for exposure to disease, water and nutrient issues, site limitations and pests and pathogens. Trees are then examined to evaluate signs & symptoms of tree disease, physiological stress, insect activity, tree structure, and other issues. During tree inspection, we employ the use of such tools as sounding hammers, soil compaction probes, UAVs (drones), root crown excavations, microscopes, knives and other tools that allow the evaluator an intimate look at trees. Unlike most other consulting arborists, we have two consulting arborists who also climb trees. Doing so provides us an insight into tree health and structure many other consulting arborists don’t have. Both arborists on staff are trained and certified as ISA Tree Risk Assessment Qualified. 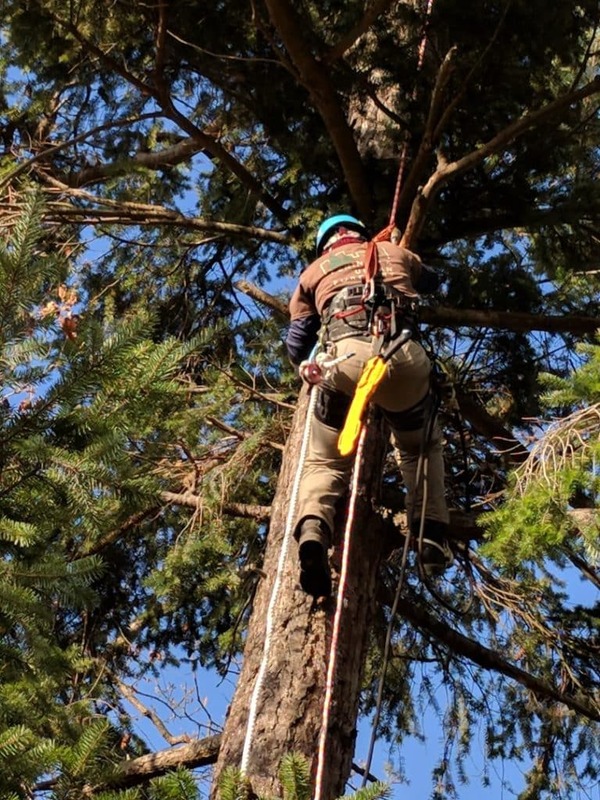 As such our arborists are qualified to file applications for tree removal permits with municipalities throughout the Olympic Peninsula and Puget Sound Region. Our Certified Arborists inspect and evaluate trees within Port Angeles, Sequim, Port Townsend, Poulsbo, Bainbridge Island, Oak Harbor, down to Shelton, Lacey, Olympia and Tumwater. Large Tree Managers – HOAs, Colleges, Etc. Need a Certified Arborist for your project or have questions about your trees? Many effective tree prescriptions and treatment recommendations are available to help trees grow successfully. Some trees lack certain nutrients, water, or are limited by soil and plating conditions. Other trees are under attack from pest insects, fungi, bacteria and a host of other pathogens. Accurate analysis of the signs and symptoms of plant disease allows for effective treatments. By the time trees begin to show signs and symptoms of stress, the underlining biological issue is in its late stages. Stress and general tree decline can be expressed in numerous ways, including: early loss of leaves, pockets of decay, yellowing or browning of leaves and needles, and the occurrence of pests and pathogens. Our Certified Arborists are experts in tree and shrub disease, pathogens and other non-biologic conditions like salt damage, sun-scald and more. Peninsula Urban Forestry arborists meet with property-owners and tree-managers to provide advanced, science based inspection, evaluation, diagnosis and recommendations for their plants, shrubs and trees. Our tree inspection covers many arboricultural, horticultural and biological methods. We evaluate the overall health of trees, we expose and investigate any pests & diseases on the tree, identify structural and wood-decay problems, determine soil health and soil nutrient availability, and evaluate the site-specific limitations of the area and the tree. Through evaluating these site-specific limitations, we can understand if the Right Tree was Planted in the Right Place. After inspection, our arborists will analyze the information and evidence and make recommendations on treatments required to preserve tree health or remedy tree concern. Similar to a Doctor’s checkup, an annual tree inspection is essential for tree protection, assessing growing habits and tree conservation. 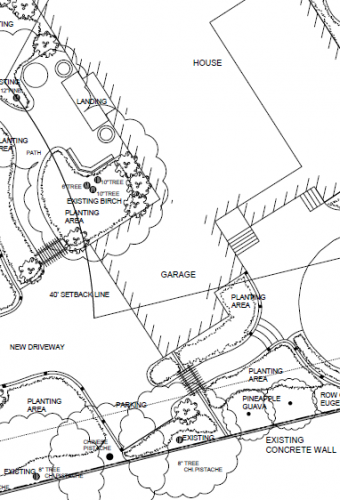 We provide tree protection planning for construction, remodeling and new developments. Our interdisciplinary team is experienced in site assessments, soil assessments and plan review, whether in the feasibility, engineering or architectural stages. Our team provides tree protection specifications, supervision and monitoring of construction near tree protection zones. Our certified arborist prune roots as needed during construction and provide monitoring and follow-up inspection as required by jurisdictions. Our arborists, foresters and wetland professionals can be on call and quickly onsite to provide advice for handling unforeseen environmental problems. Our team has experience in development review and can make recommendations during the planning process, including drafting EIS documents and providing information for SEPA permits. Our Certified Arborists inspect and evaluate trees within Seattle, King County and the entire Olympic Peninsula, Puget Sound Metropolis, the San Juan Islands. -Darryl S. of Port Townsend – Developer – January 2017. Local governments often require Arborist Reports for development permits, tree removals, shoreline pruning or for tree contractor specifications. We write many different types of arborist reports, including tree risk reports, tree pruning and treatment prescriptions, tree appraisals, tree building plans, tree conservation and preservation plans, tree inventories and other. Arborist reports normally begin with tree investigations and risk ratings and usually require additional information depending on your local jurisdiction. Not all tree inspections require an arborist report. If you require general knowledge regarding the care and treatment of your trees, whether they are showing current signs of stress or not, we can visually assess and verbally prescribe treatments. Tree risk evaluations, tree appraisal, or tree inspections where the tree owner is unknown will all require arborist reports. We provide Arborist reports for Bainbridge Island, Port Townsend, Poulsbo, Kingston, Oak Harbor and other cities in the Puget Sound area. Peninsula Urban Forestry works with engineers, developers and architects to develop jurisdiction specific tree building plans and tree protection plans. Our site plans and development reports include tree & vegetation inventories, tree protection zones, restoration plans, planting plans, monitoring plans and risk mitigation plans. 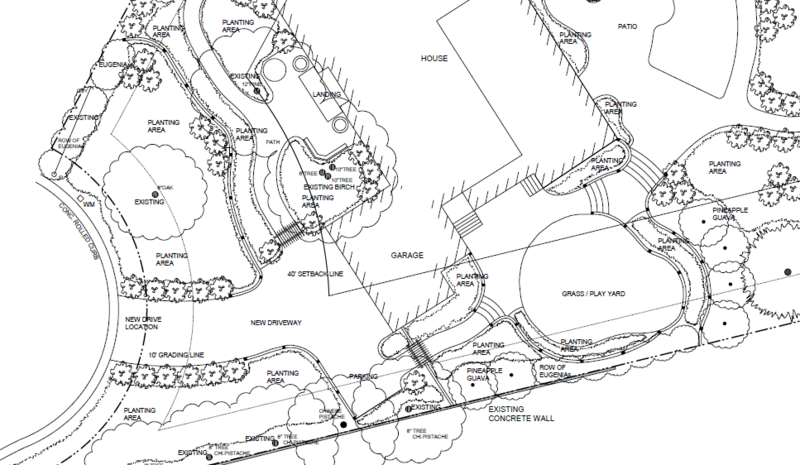 We offer planning and monitoring on best care practices after development and construction around trees. Need an arborist report for your project? Get in touch with a Certified Arborist today. Our Certified Arborists provide a variety of reports for new development, construction and tree risk.